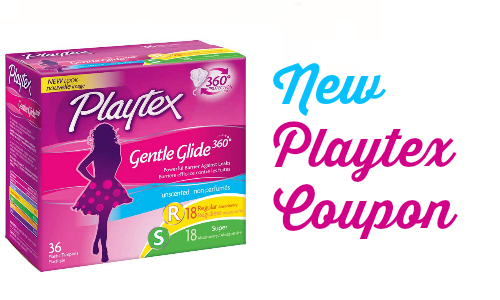 Home > Printable Coupons > Playtex Coupon | BOGO Tampons! Playtex Coupon | BOGO Tampons! Print this new High Value Playtex Coupon to get Playtex Gentle Glide tampons B1G1, up to 7.99 in value. Use the coupon at Kroger for a fun deal.